2018 Crushing for a Cause – Turn your scrap metal into cash….Now ready to accept! allowing this to be an ongoing fundraiser. 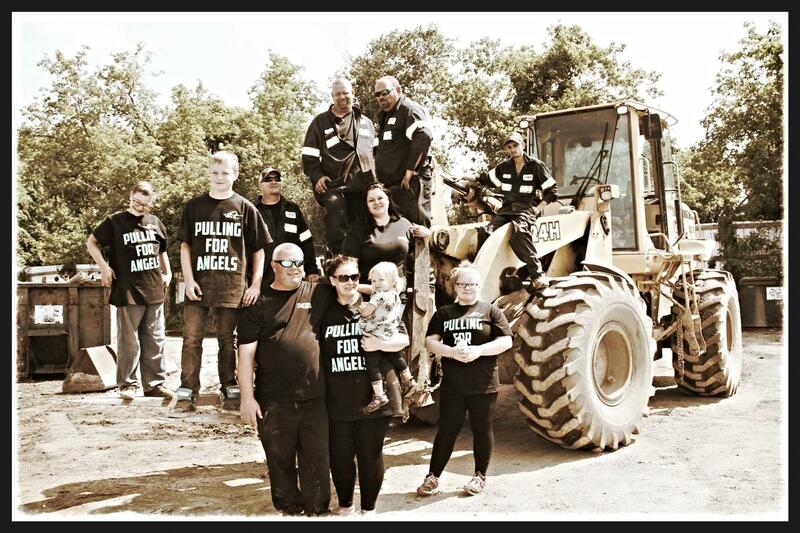 The AMAZING team at Nurse Scrap Metal (check them out in the picture below) is once again allowing Global Angel Charity to be the beneficiary of one of their community fundraisers. If you are cleaning out your garage or basement, storage unit or cottage, replacing appliances (small or large), getting rid of old electronics and you have any items listed below…don’t take them to the dump, take them to Nurse Scrap Metal or call 705 740 2645 for a pick up. All or part of the value of these items can be donated to Global Angel. Drop off at Nurse Scrap Metal or call 705 740 2645 to have it picked up in Peterborough April 9 – June 23 . Before this date, call 740 2645 if you can volunteer to help our cause. A/C Units, heaters, humidifiers, dehumidifiers, etc. All vehicles and parts – Rads, rims, cats, etc. All computers, gaming devices, wires, and accessories. All electronics – TV’s, DVD/VHS players, printers, cable boxes, cameras, etc. All makes and models of vehicles, 4 wheelers, ATV’s etc. Aluminum beverage cans (not crushed please), siding, windows, doors, etc. Any wire – Household, extension cords, power cords, etc. Anything Metal – Sinks, shelving, cabinets, hangers, candle holders, ladders, etc. Bathroom fixtures, copper pipes, brass, etc. Bicycles, scooters, BBQ’s, Metal Outdoor Furniture, etc. Garage door openers, garage doors, exterior metal doors, door handles, etc. Lawn mowers, weed eaters, snow blowers, etc. Misc. household Items – Vacuums, vent ducts, Ironing boards, grates/vents, exercise equipment, etc. Washers, dryers, water tanks, furnaces, etc. Garbage – Household, couches, mattresses, plastic & wood etc. Containers under pressure – Propane tanks, aerosol cans, etc. Paint cans (unless they are empty and clean), or sealed barrels.